An evening dedicated to relaxation and fun while enjoying a delicious Thai dinner by the pool and discovering the “movida” of south Pattaya. We begin this excursion with a delicious buffet dinner served by the pool (weather permitting) near the small semi-private beach of the Siam Bayshore Pattaya Resort, surrounded by lush Thai vegetation. After dinner, we take the coach to south Pattaya, where we have some free time to immerse ourselves in the city’s night-life in an area full of bars, discos and pubs. 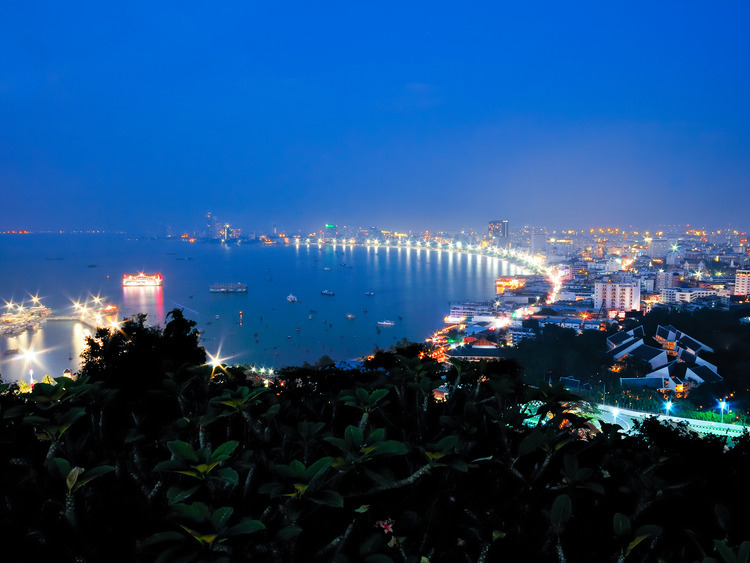 Pattaya is in fact one of Thailand's most lively and mundane tourist areas, so much so that the Italians also call it the “Rimini of South-East Asia”. This excursion does not include a guide. A local rep will provide information in English. The coach transfer from the port to Pattaya takes approximately 1 hour.